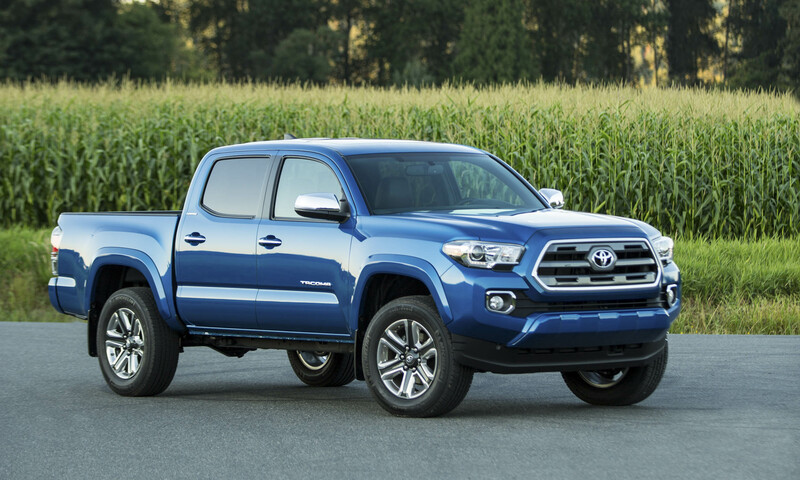 Toyota’s Tacoma midsize pickup has been the top seller in the category for the last decade, but with new competitors in the market and rumors of more on the way, Toyota is not taking any chances. 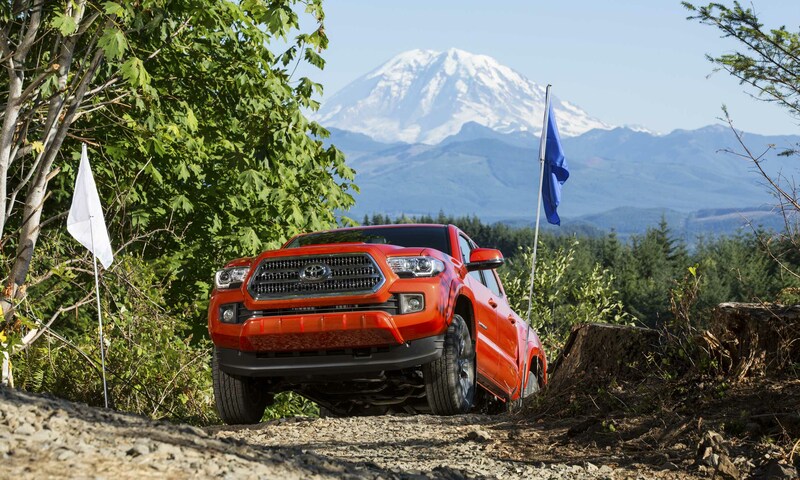 The Tacoma is new for the 2016 model year with a more aggressive design, a new V6 engine, a smoother ride and stellar off-road capability. 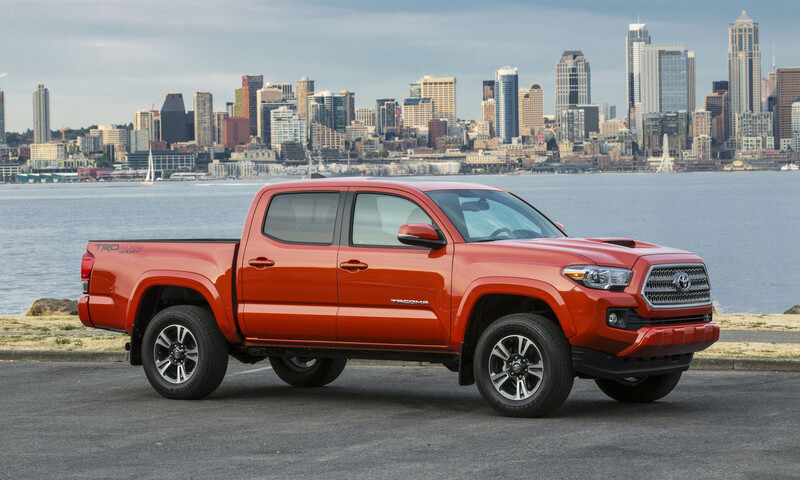 Engineered and designed in Michigan and California, and built in either San Antonio, Texas, or Baja California, Mexico, there is no doubt that Tacoma is a product of and for the American market. 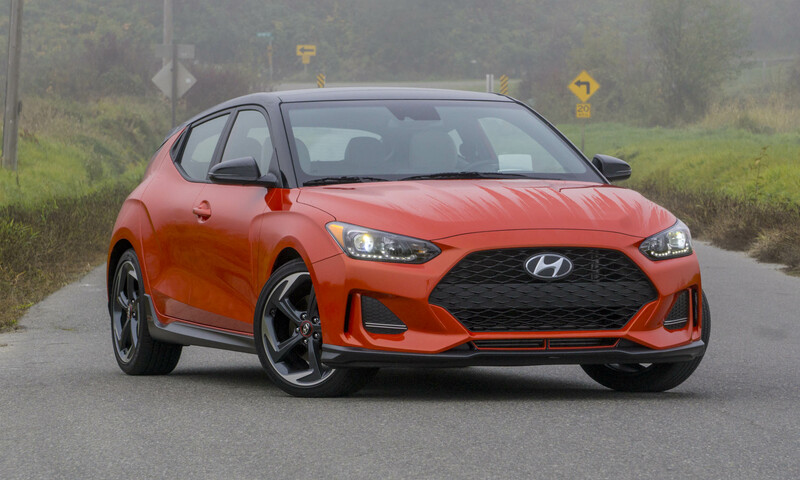 The new design features a bold hexagonal grille beneath a taller hood. Slim headlights flank the grille and pull back into the front fenders with projector beams and available LED daytime running lights. Inspired by desert race trucks, the Tacoma retains its strong wheel arches to emphasize the raised look, adding new wheel designs. At the rear, the tailgate features an integrated spoiler to improve aerodynamics that flows from the rear fenders into the upper edge of the tailgate. 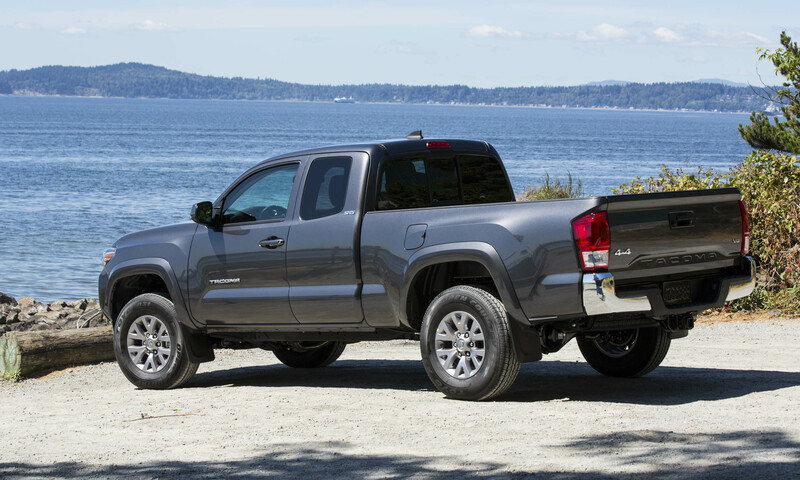 The Tacoma name is stamped into the lower section of the tailgate, and the rear bumper is now a three-piece unit; the sections can be replaced separately as necessary. The locking tailgate is damped so it will drop down softly. A factory-installed tri-fold hard tonneau cover is available. To improve overall rigidity, high strength steel was added to the frame, and ultra-high-strength steel was incorporated into the shell using a hot stamping process. The truck bed interior is a composite material designed for strength and durability; lighter than steel, it also features two-tier loading and a deck-rail utility system with adjustable tie-downs. The Toyota Tacoma is offered in two cab styles: the Access Cab with rear-hinged doors to access the storage area behind the seat, and the 4-door Double Cab. 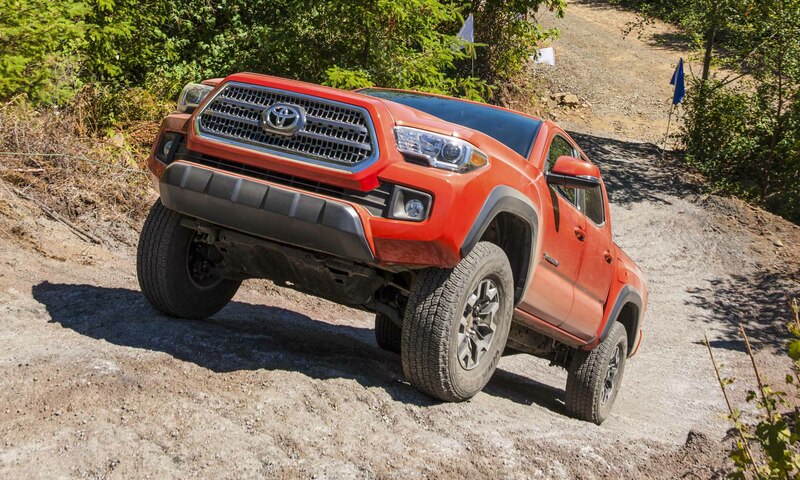 Both cab styles are offered in 4X2 and 4X4 with five different trim levels: SR, SR5, TRD Sport, TRD Off-Road and Limited. The Access Cab has a 73.7-inch bed with a 127.8-inch wheelbase, while the Double Cab has either a 60.5-inch bed with a 127.4-inch wheelbase, or a 73.7-inch bed with a 141-inch wheelbase. A total of 29 different configurations are offered. 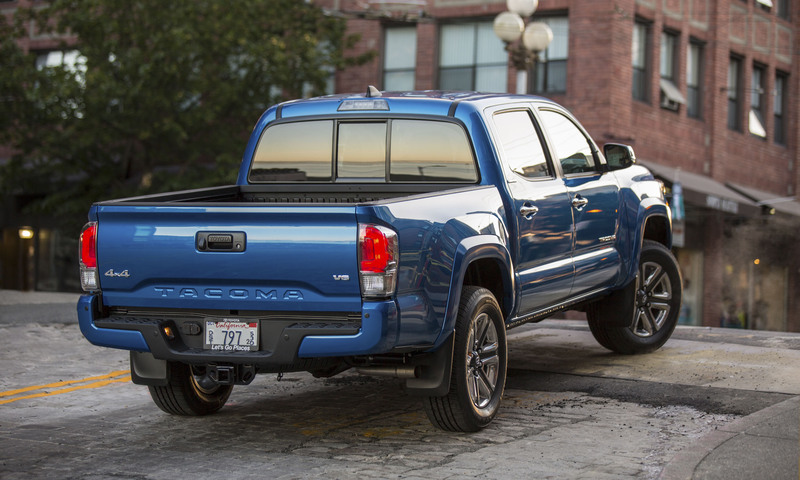 As the base Tacoma, the SR starts at $23,300 for the Access Cab 4-cylinder Automatic 4×2, and $24, 825 for the Access Cab 4-cylinder 5-speed manual 4×4. Standard equipment includes a 4-way adjustable driver’s seat with lumbar support, a 4-way adjustable front passenger seat, automatic limited-slip differential, projector beam headlights, dark gray grille with black surround, color-keyed power outside mirrors, a deck rail system with adjustable tie-downs, 16-inch steel wheels, a sliding rear glass window, cloth seats and a tilt/telescoping steering column. An Entune Audio system is standard with 6.1-inch touchscreen, AM/FM CD player, USB 2.0 port with iPod connectivity, advanced voice recognition, hands-free phone capability, SIRI Eyes Free and integrated backup camera display. All 4×4 Tacomas are equipped with 4WDemand part-time 4WD with an electronically-controlled transfer case and automatic limited-slip differential. 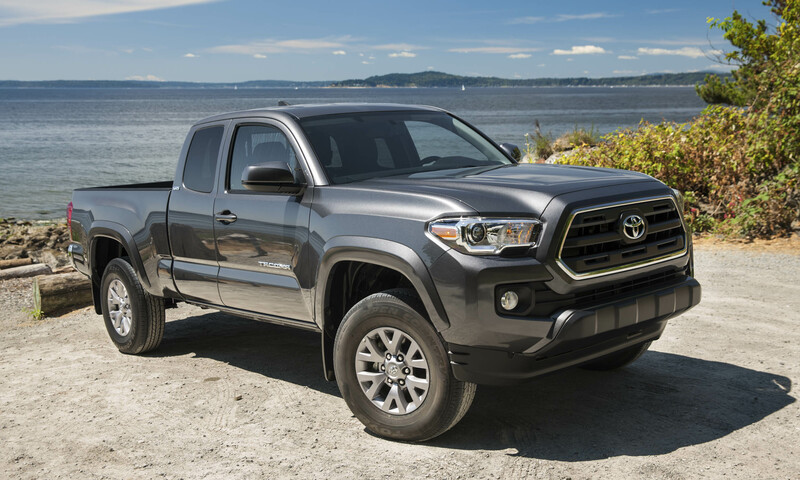 Starting at $25,385 for the Access Cab 4-cylinder Automatic 4×2 and $28,460 for Access Cab 4-cylinder Automatic 4×4, the Tacoma SR5 adds projector beam headlights with integrated fog lights; a charcoal grille with chrome surround; a chrome rear bumper; a leather-wrapped steering wheel; a 4.2-inch LCD display in the instrument cluster; fabric seats with available Caramel or Red contrast stitching and interior accents; remote keyless entry; available 16-inch alloy wheels; and Entune Audio Plus with Connected Navigation Scout GPS Link App, Sirius XM All-Access Radio, HD Traffic and Weather. $31,320 for the Access Cab V6 6-speed manual 4×4. TRD Sport adds projector beam headlights with LED daytime running lights; a gray grille with smoke finish and chrome surround; a hood scoop; color-keyed outside mirrors with turn signal indicators; body-color fender flares and rear bumper; 17-inch machined alloy wheels; Qi-compatible wireless smartphone and mobile device charging; a leather-wrapped shift lever; smart key with push-button start; Entune Premium Audio with integrated Navigation and App suite with 7-inch high resolution touchscreen and Entune Multimedia Bundle. The most off-road capable trim, the TRD Off-Road starts at $30,765 for the Double Cab V6 Auto 4×2, and $32,950 for the Access Cab V6 Auto 4×4. The TRD Off-Road loses the hood scoop but adds black fender flares and 16-inch machined contrast alloy wheels. Additional features for off-road capability include Multi-Terrain Select, which allows the driver to choose settings for different terrain such as rock, mud or sand, and the system controls wheelspin by adjusting throttle and brake pressure to maximize traction in different conditions. 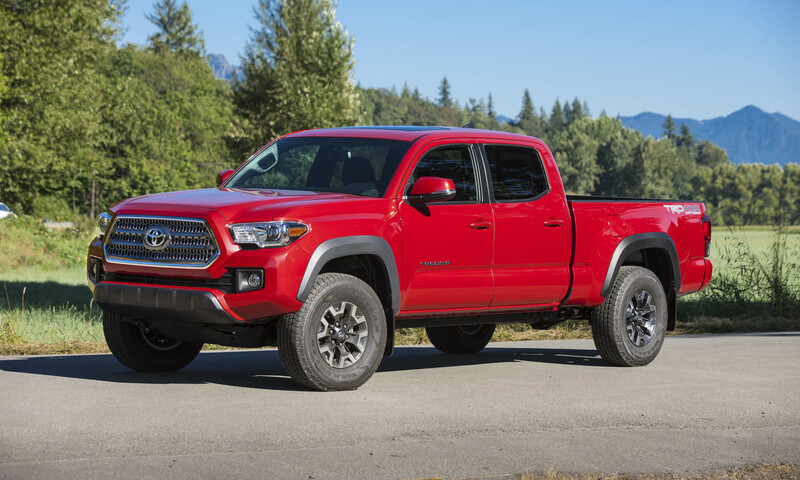 The TRD Off-Road also includes a locking rear differential, Hill Start Assist Control, Active Traction Control and Crawl Control which allows the driver to select a speed between 1 and 5 mph and the system will control throttle and braking to maintain the chosen speed. 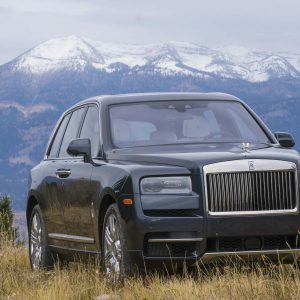 The top-of-the line well-appointed Limited is only available as a Double Cab with the V6 engine and starts at $34,745 for 4×2, and $37,820 for the Double Cab V6 Auto 4×4. Standard equipment includes a charcoal grille with polished finish and chrome surround; chrome headlight bezels, outside mirrors and door handles; 18-inch polished alloy wheels; leather-trimmed seats; automatic dual-zone climate control; and Entune Premium JBL Audio; Rear Parking Assist; a Blind Spot Monitor and Rear Cross-Traffic Alert. 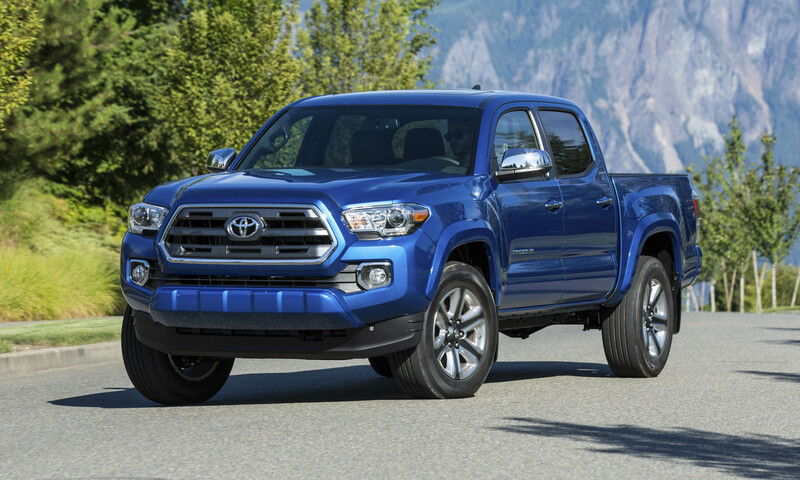 An all-new 3.5-liter V6 engine is offered in the 2016 Tacoma, producing 278 horsepower and 265 lb-ft of torque — a 42 horsepower increase over the 4.0-liter V6 engine in the previous model. 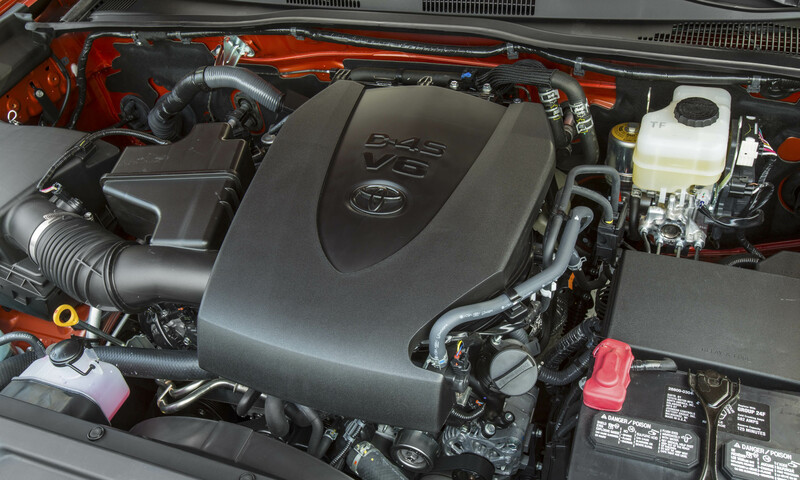 The new V6 includes Toyota’s D-4S technology that includes both direct and port fuel injection, features Variable Valve Timing with Intelligent Wider Intake, and is able to simulate the Atkinson cycle under certain conditions for more efficiency. 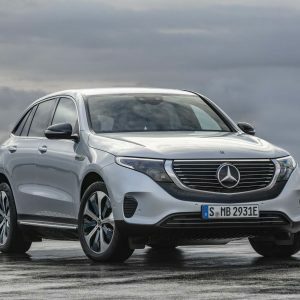 Estimated fuel economy is 19 city/24 highway/21 combined mpg when equipped with the 6-speed automatic and 2-wheel drive; 17 city/21 highway/19 combined with the 6-speed manual and 4-wheel drive; and 19 city/23 highway/20 combined for automatic and 4-wheel drive. 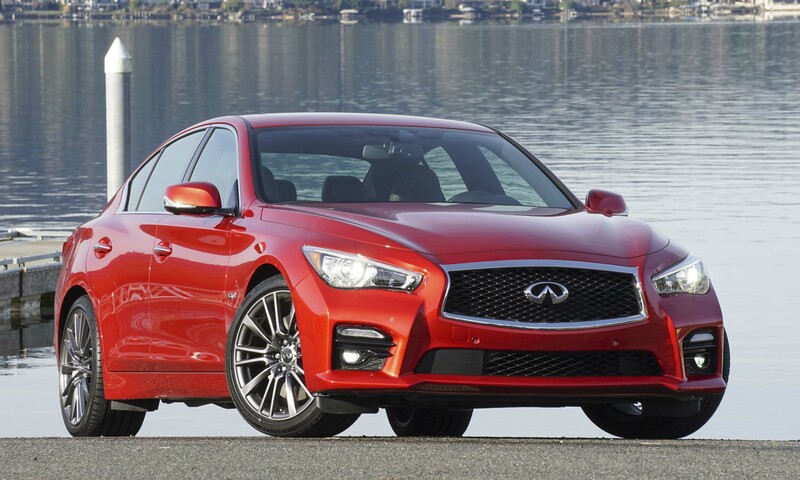 A 2.7-liter 4-cylinder is also offered, producing 159 horsepower and 180 lb-ft of torque. EPA estimated fuel economy for the 2-wheel drive with automatic is 19 city/23 highway/21 combined mpg. 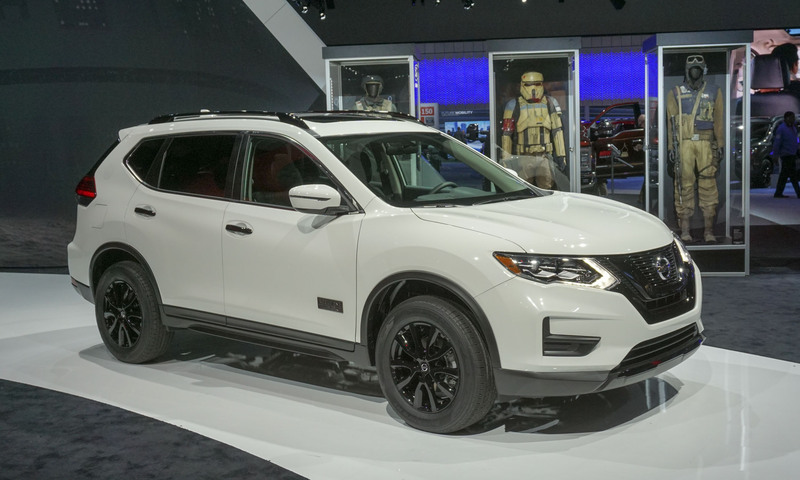 For the 2.7-liter 4-wheel drive, estimated fuel economy is 19 city/21 highway/20 combined mpg with the 5-speed manual, and 19 city/22 highway/20 combined mpg with the 6-speed automatic. 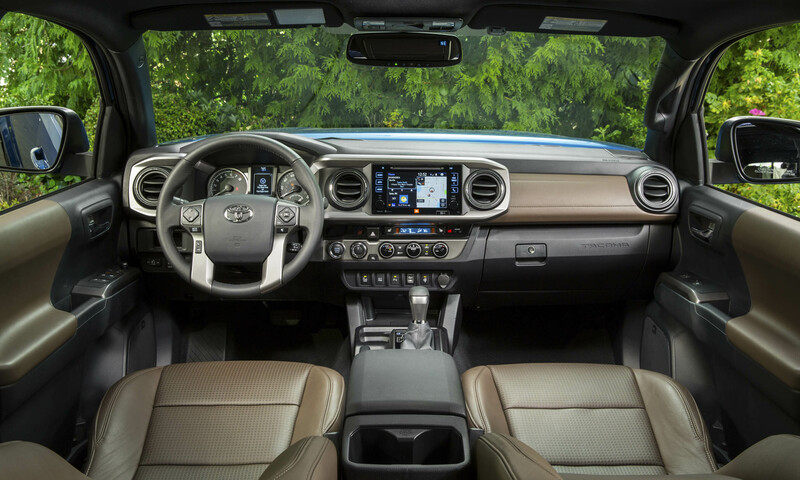 The new Tacoma design carries the sport-truck theme to the interior, with bold elements such as four large, round air vents and a horizontal bezel that surrounds the gauge cluster and center screen. Climate-control knobs and other switches are located below the screen and above the center console, as well as lots of useful storage space including available Qi wireless charging. The interior has a more premium feel with soft-touch materials, metal accents and varied seat materials for different trim levels, including leather for Tacoma Limited. A GoPro mount located near the rearview mirror is standard for all trim levels. 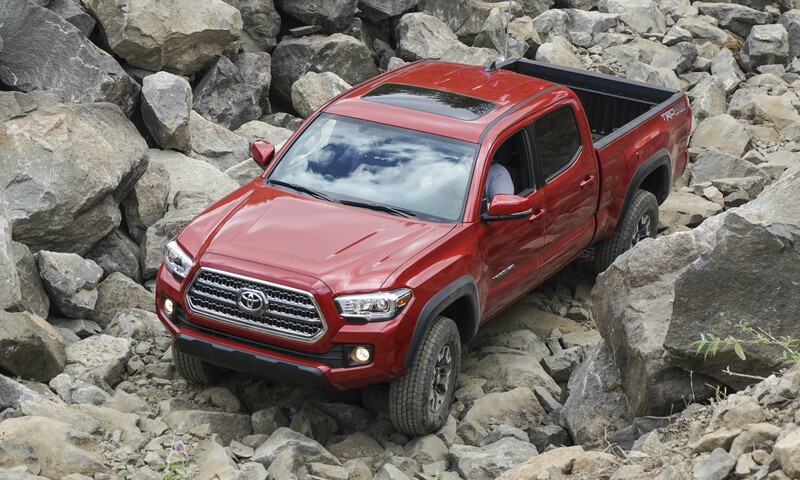 While the 2016 Tacoma maintains stellar off-road capability, it drives really well on the street with good power from the new 3.5-liter V6 engine, a smooth-shifting 6-speed automatic transmission and good steering response. 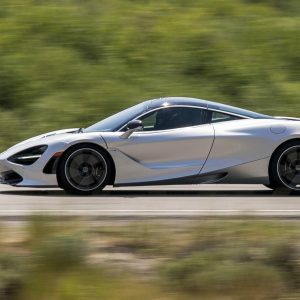 It is also smoother and quieter on the road with revised suspension tuning and the addition of new door seals, a multi-layer acoustic windshield and a sound-absorbing headliner. We drove the Tacoma TRD Sport Double Cab 4X4 V6 Auto, and it is smooth and quiet for a truck. 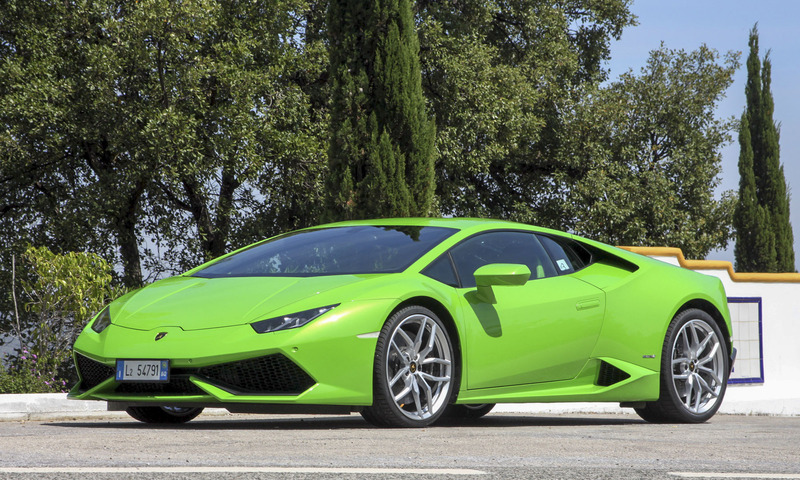 You won’t mistake it for a sports car, but it’s well controlled, responsive and fun to drive. 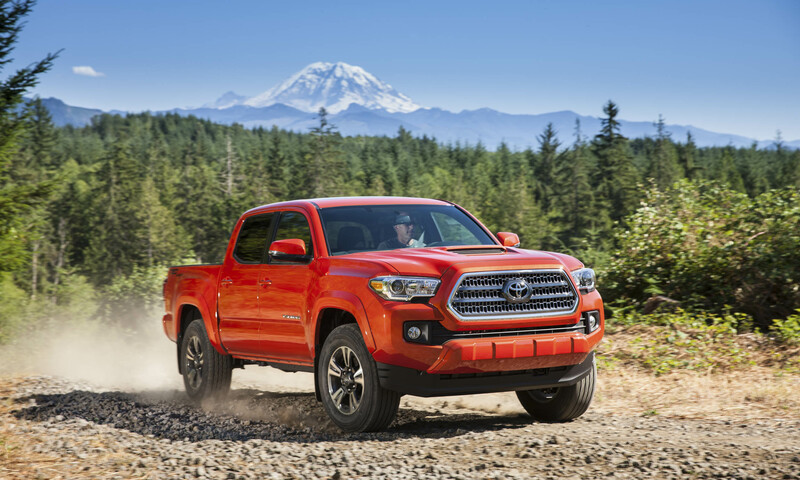 Tackling tough off-road conditions is where the 2016 Tacoma really shines, especially with the addition of electronic aids for the TRD Off-Road version. We drove the Tacoma TRD Off-Road Double Cab 4X4 V6 Auto, which excelled in a variety of difficult conditions including steep uphill hard surface climbs; steep downhill hard-surface descents; long, steep soft-dirt downhill descents and crawling through a large boulder field. 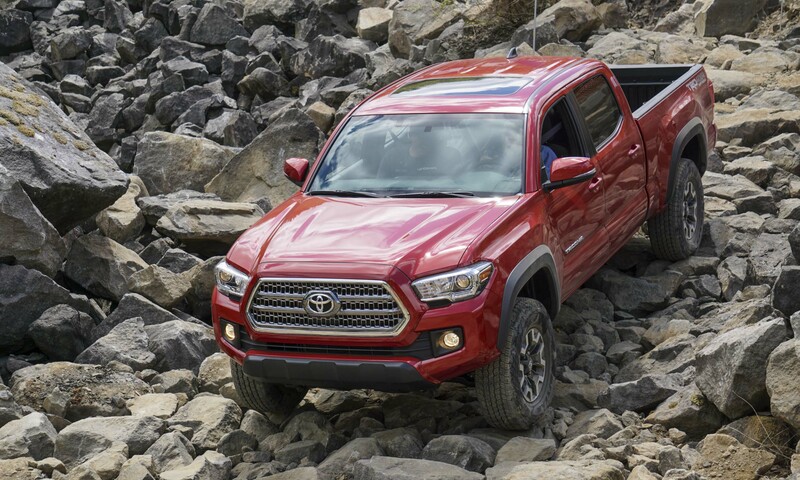 If you need this level of off-road capability, the Tacoma TRD Off-Road really can take you wherever you need to go — and the latest electronic aids help keep you out of trouble. To demonstrate the true capability of the electronic aids during our press drive, a Tacoma TRD Off-Road was intentionally buried up to the axles in sand — an off-road situation that in the past would require, at the very least, a lot of shoveling and probably even a winch to get the truck free. 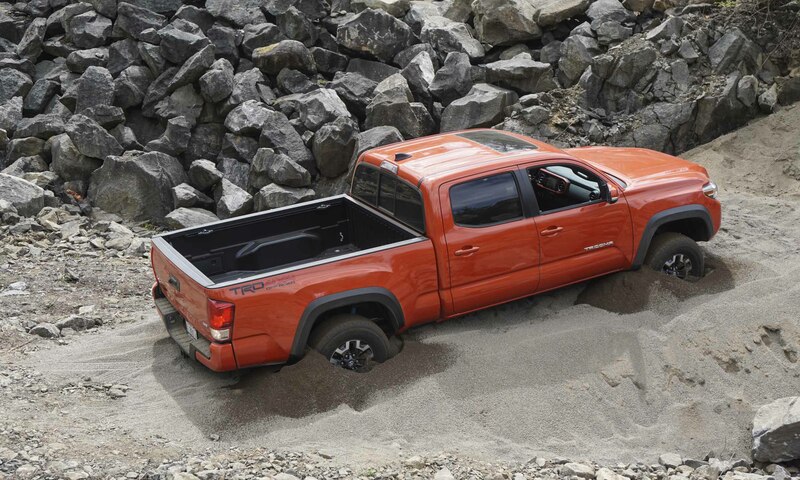 With Sand mode selected, we watched as the Tacoma was able to dig its way out, slowing turning the wheels in a very controlled manner to build sand up under the tires rather than dig down deeper, raising the truck up until it was able to drive out. 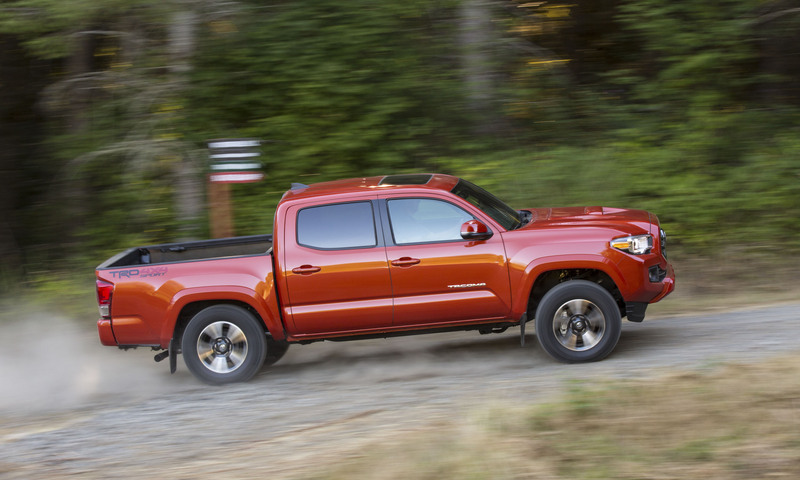 The Toyota Tacoma has been at the top of the midsize truck segment for a long time, and the 2016 Tacoma is quieter, smoother and more powerful, while also enhancing its off-road capabilities. 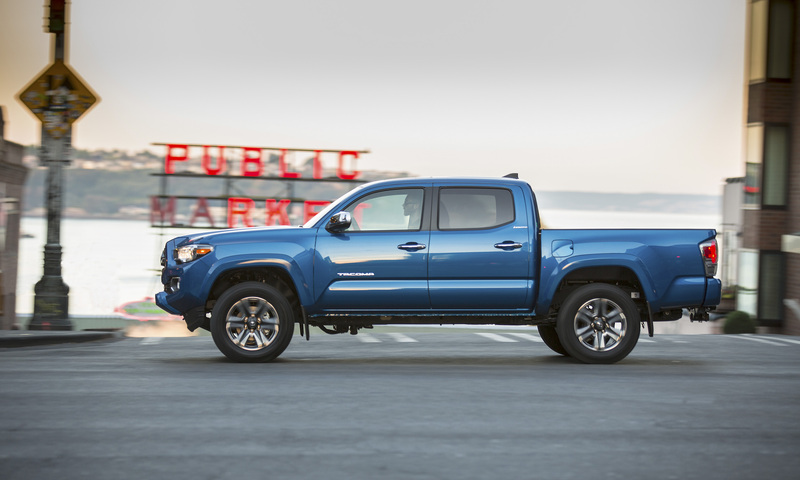 In the face of new competition, if a midsize truck fits your needs the Tacoma is easier than ever to live with every day, and continues to be one of the best choices on the market. Bottom Line: Great off-road ability but equally good every day on the street. Pros: Aggressive desert truck look for the street; smoother and more refined with strong new V6 engine; off-road capability. Cons: No regular cab work truck offered; not a compact truck; continues to grow in size; aggressive design may not appeal to some. How I wished to drive something like this. Its full of adventure for sure.